THE ANTI-AUSTERITY Alliance has slammed government plans to invest in modular housing as the cost for each of these temporary homes is €11,000 higher than building actual houses. Dublin city councillor Michael O’Brien described the plan as “an utter shambles”. TD Ruth Coppinger was also critical of the plan, saying there should be an immediate review of the scheme. “The government need to take the housing crisis seriously,” she said. In response to criticisms, a spokersperson for the department said the AAA are “as usual, missing the point”. “The modular housing is a short term measure to provide temporary homes for families who are currently being accommodated in hotel rooms,” they said. Providing traditional social housing can take anything from two to four years from start to finish depending on planning issues, tenders/contracts and then the build programme. There are currently 4,000 units of social housing under construction – the majority of which will come on stream in 2017. In the mean-time, the state is acquiring, leasing and refurbishing social houses to fill the gap before building comes on stream. “The Ballymun modular project is a pilot one which is proceeding at emergency pace. As it’s 22 homes, it’s the first of its kind, you are paying for speed and for less economies of scale. Once a successful pilot is initiated, then the lessons learned from this can be applied to a larger programme of modular housing,” they added. 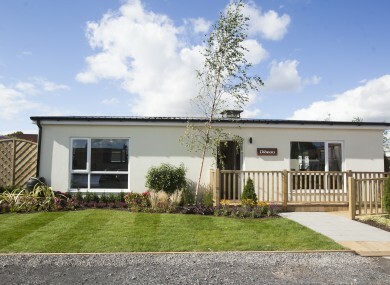 This modular housing is in addition to the €292 million allocated to Dublin City Council to provide social housing by purchasing, building and leasing homes from 2015-2017. Email “Plans for modular housing slammed as building actual houses would be cheaper”. Feedback on “Plans for modular housing slammed as building actual houses would be cheaper”.